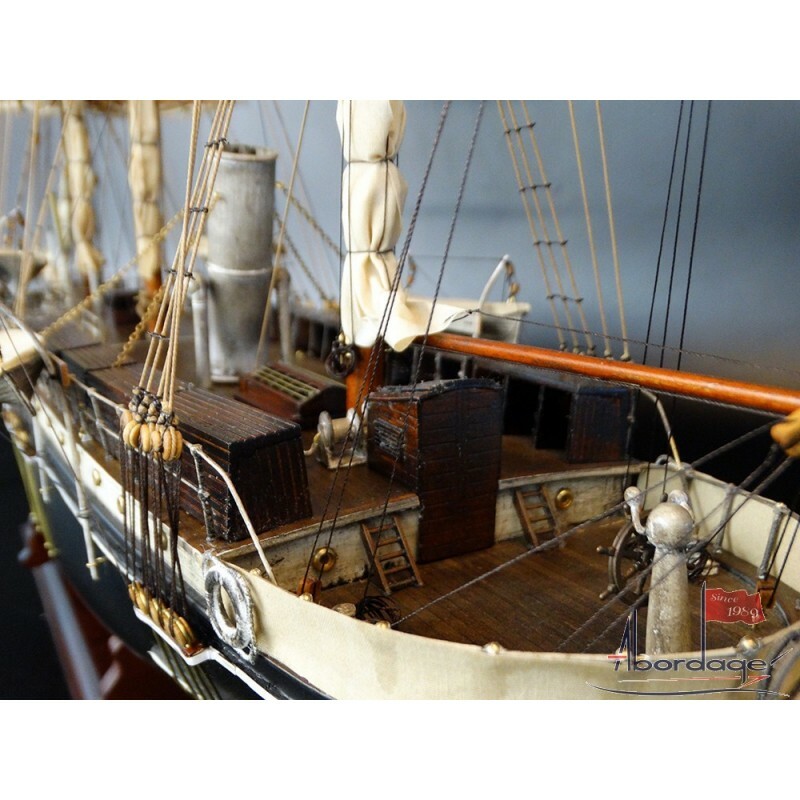 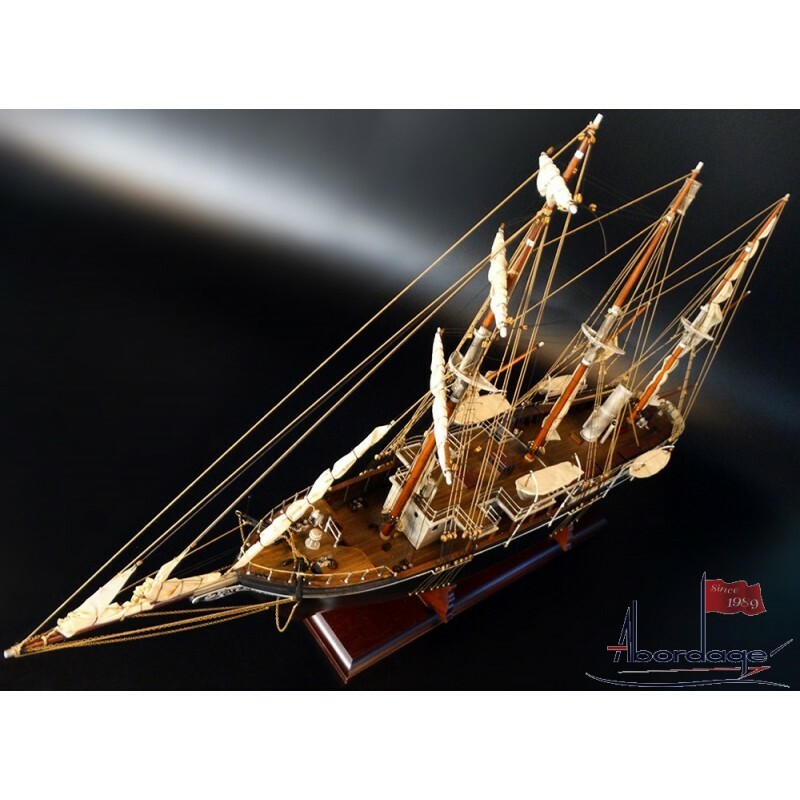 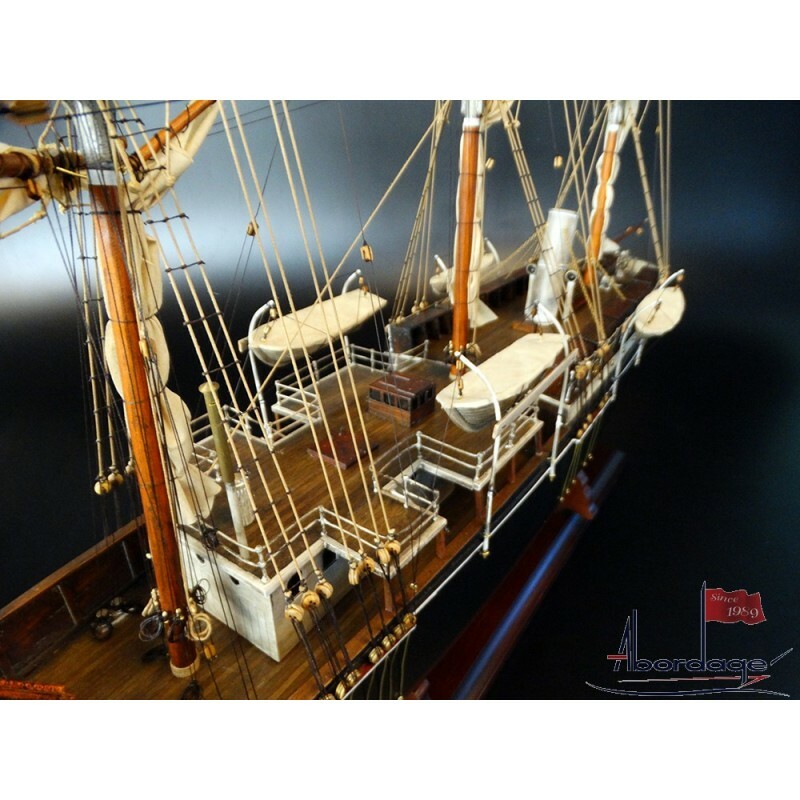 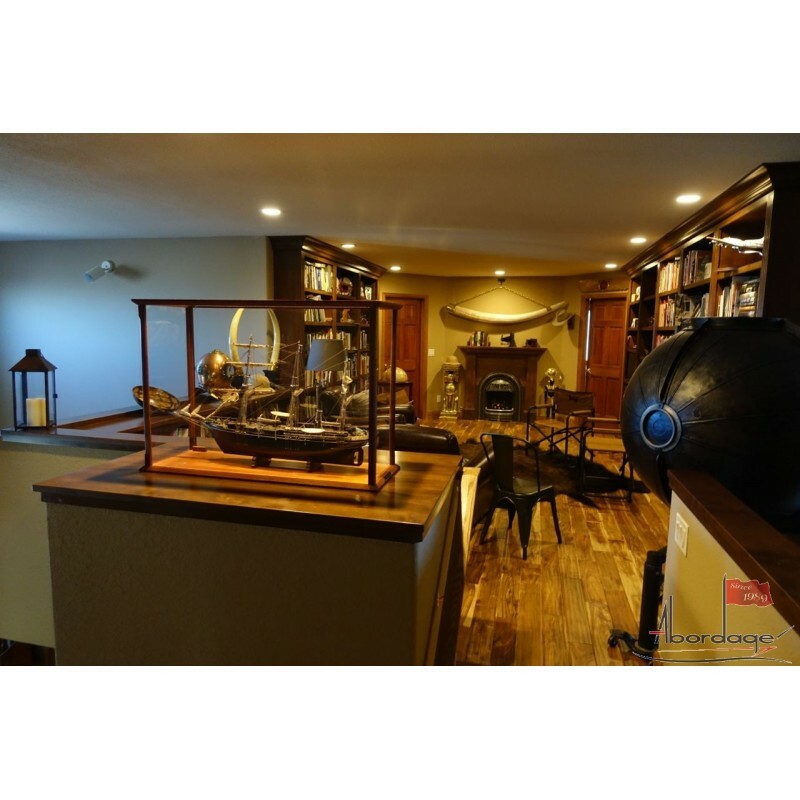 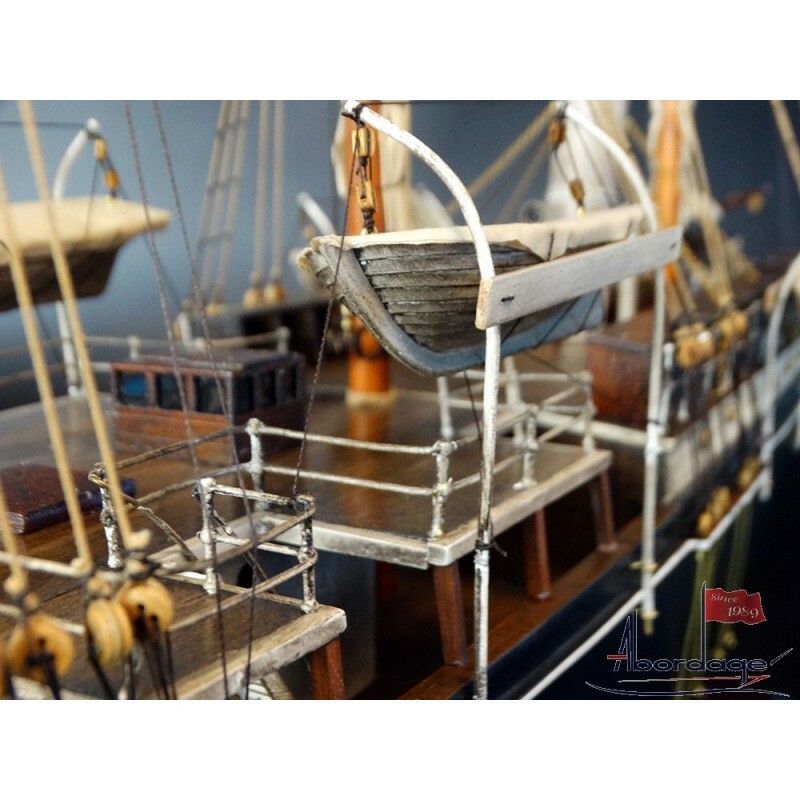 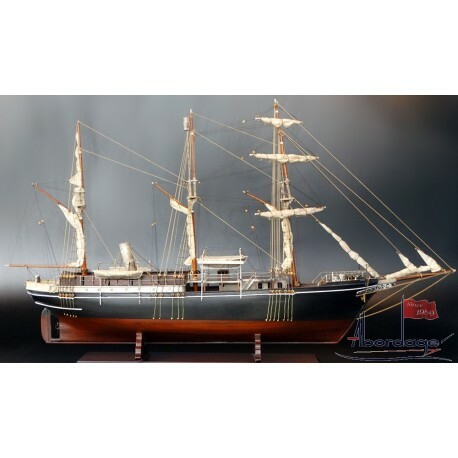 A superb, museum-quality model of the ship at the heart of one of what is considered by many to be the last great voyage of exploration, and a story of valiance and fortitude for all to survive over a year against all odds. 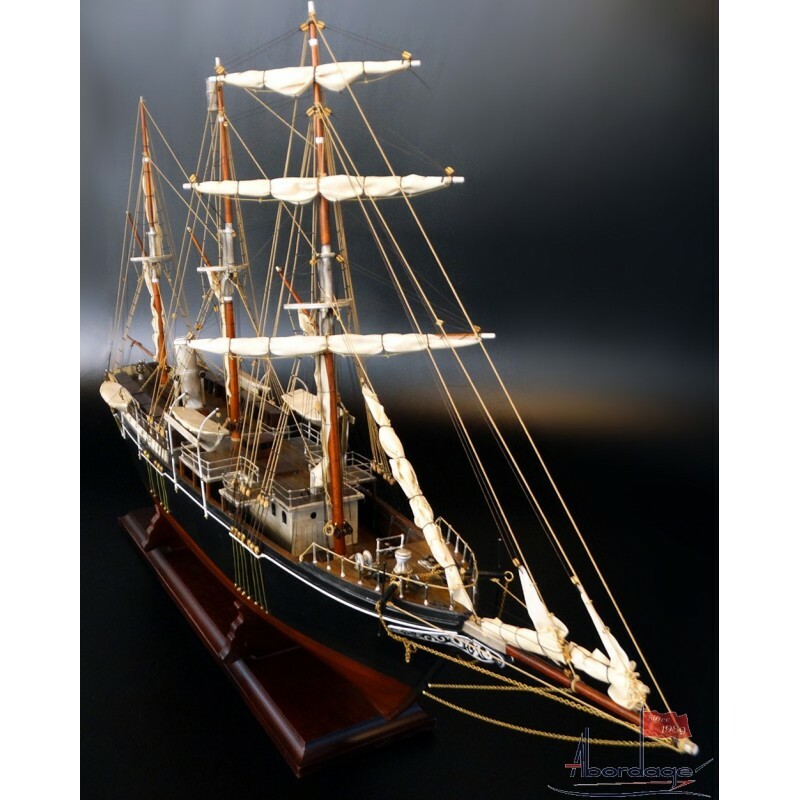 The aptly named Endurance, built for durability in extreme polar conditions, resisted ten months held fast in pack ice, immortalized in the photographs of photographer Frank Hurley. 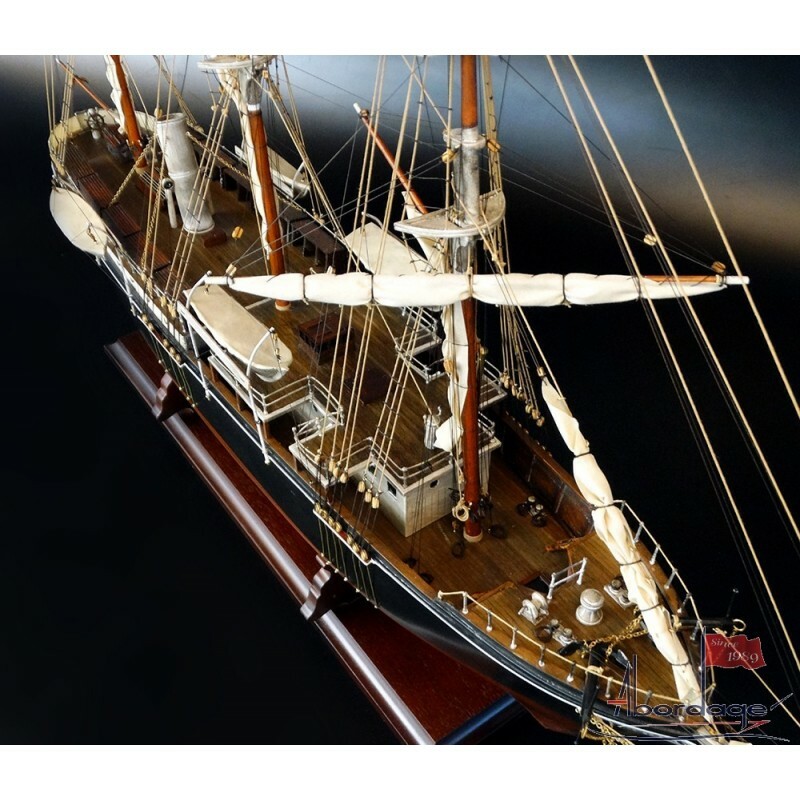 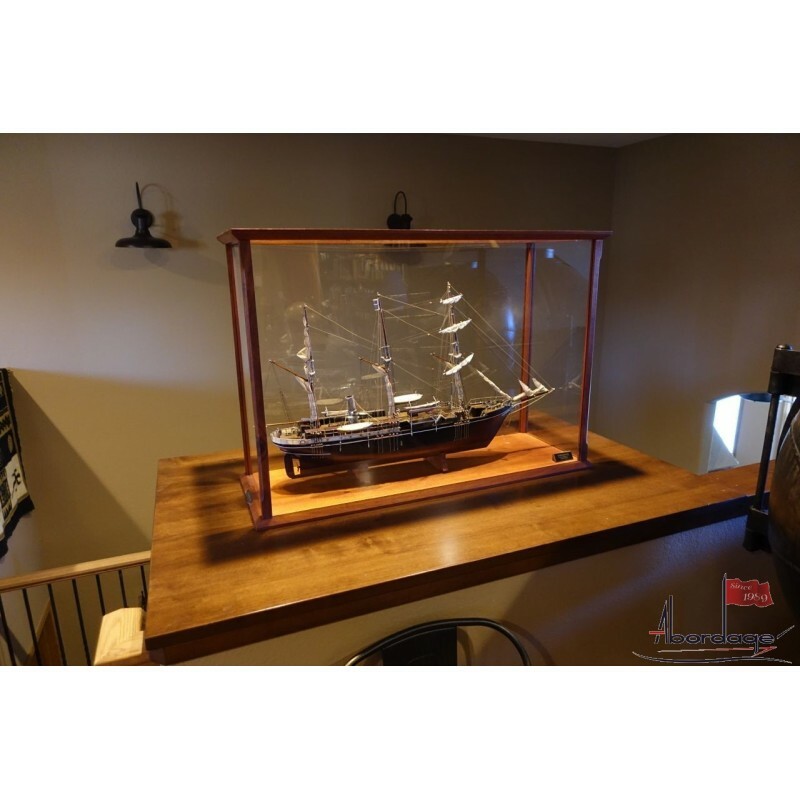 This plank-on-bulkhead model, using the best well-seasoned precious hardwoods, faithfully captures the lines of what was perhaps the strongest wooden ship ever built. 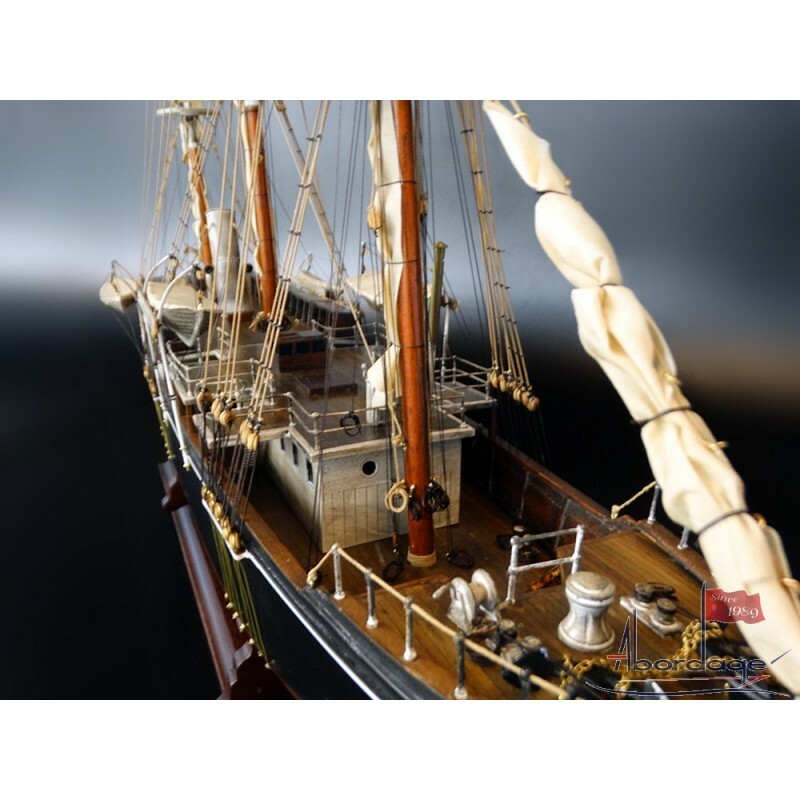 The above photograph shows her bow, designed to meet the ice head on, and capturing the essence and strength of the original plans, where each timber was made from a single tree, chosen so its shape would follow the natural curve of her design. 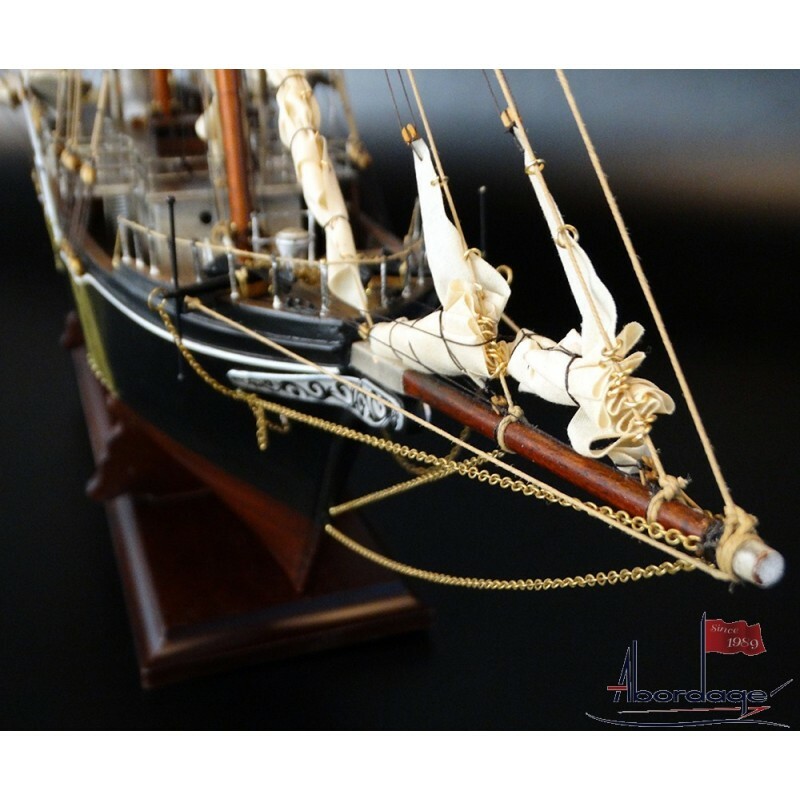 It also highlights the intricacy and quality of the chromed and brass fittings and waxed marine-brand rigging, a tribute to the attention to detail and quality of workmanship of the highly skilled and experienced artisans at Abordage. 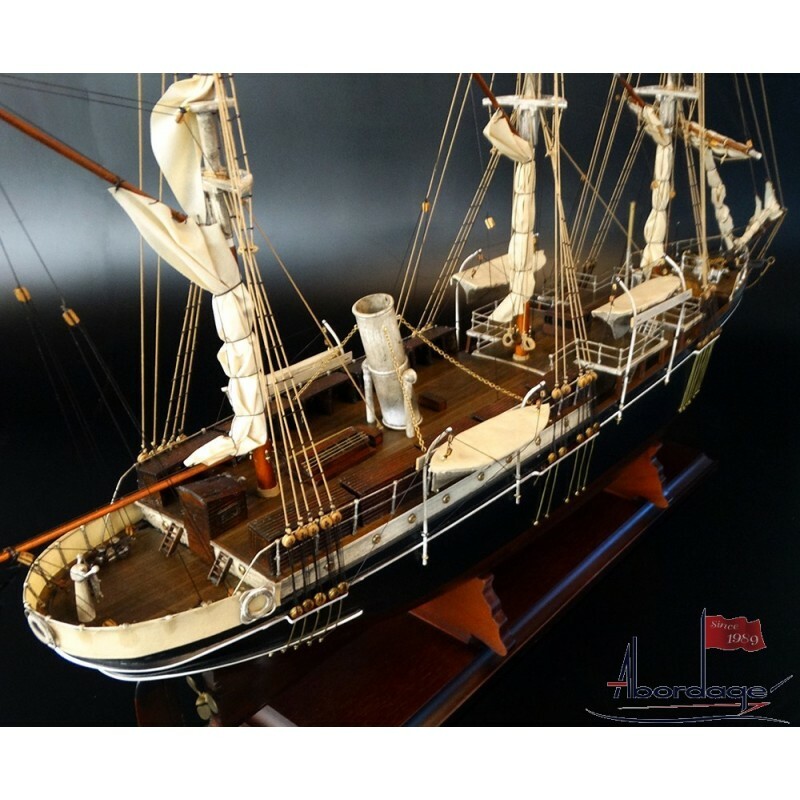 Nothing has been compromised in this faithful reproduction of a ship that has become a symbol of man’s fortitude in adversity, and indeed of his Endurance and will to survive.